This review was written by NintenDaan and edited for clarity by RMC. The video review contains a narration of the written review, and is read by RMC. An early review copy was provided by Nintendo. It was ten months ago that I played Xenoblade Chronicles 2 for the very first time. While it wasn't my favorite in the series, I did really enjoy what it tried to do. Jumping on various massive creatures filled with their own flora and fauna, political clusters with regional ways of thinking, and so much more. Honestly, it took me a very long time before I pulled the trigger and completed the game. I wanted to keep collecting, growing and find more things to do. Xenoblade Chronicles 2 was also enjoyable from a story perspective, but there were gaps that needed to be worked out. One of these gaps was the Aegis War. This event is referenced multiple times during the game, and main characters like Jin and Mythra seemed to have played a major part in it. I hoped some of the upcoming story DLC for Xenoblade Chronicles 2 would shed new light on this topic. That's why I was delighted with what Nintendo revealed at E3 2018. Torna - The Golden Country tells us the about what happened to the fabled land, and what became of the heroes who tried to stop it's destruction. Torna - The Golden Country puts you in the shoes of Lora, alongside her Blades Jin and Haze. Lora acts as a mercenary trying to do good in the world, and Jin has been by her side since she was 10 years old. Since then, the two have never left each other's sides and are ready to take on the world by storm. This steers them to Torna, where villages are being rampaged by the evil Malos. It's soon after that they meet up Prince Addam, Mythra and a host of other characters. This makeshift team needs to stand together in order to have any chance of bringing Malos down. The story, while taking somewhat of a backseat, is what works about this standalone adventure. The characters and their Blades are fixed, ensuring the spotlight remains on them. There are a handful of storylines tied to sidquests, but the majority of the game builds towards a singular moment. 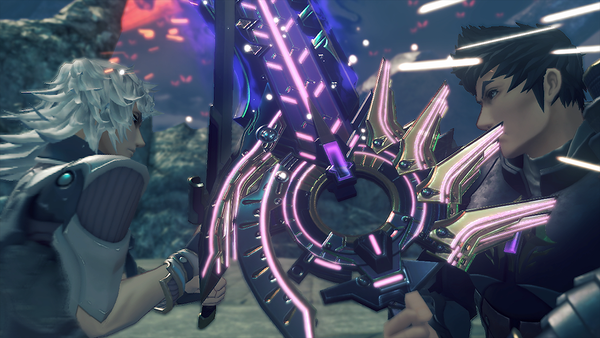 This clear focus helps to make Torna a great introduction to the Xenoblade universe. If you're looking for something more on the short and sweet side, this could serve you quite well. 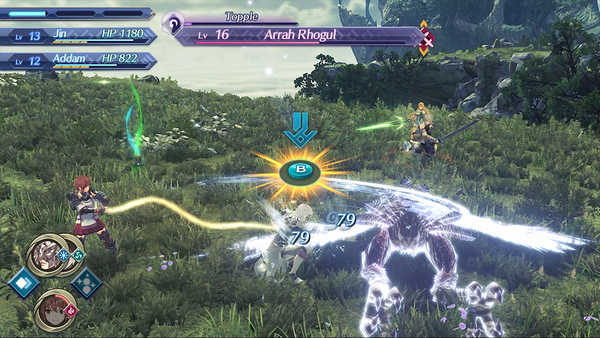 While there are moments that connect Torna - The Golden Country to Xenoblade Chronicles 2, you can certainly play and enjoy the DLC without having played the main game. This is largely due to the characters of Torna, who are extremely engaging. While I was pleased by a good chunk of the characters in Xenoblade Chronicles 2, I can't deny that I found Torna's cast to be much better. Some of the crew aren't afforded the screen-time they deserve, but their roles in the overall story still come through loud and clear. While the story is experienced mostly from Lora's perspective, you still get a lot of interaction and details on the other members. 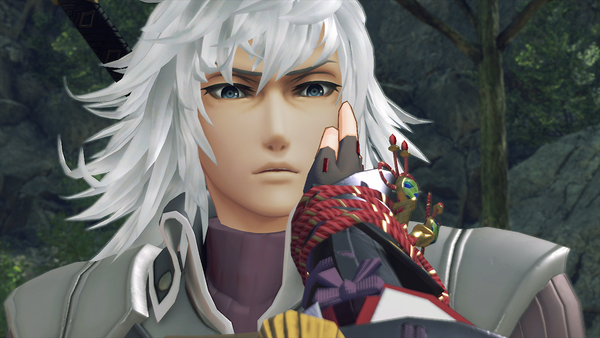 For example, Prior to Torna, Prince Addam's story was told in short snippets that left me with numerous questions. Now with Torna's DLC behind me, I feel I've gotten the complete story. 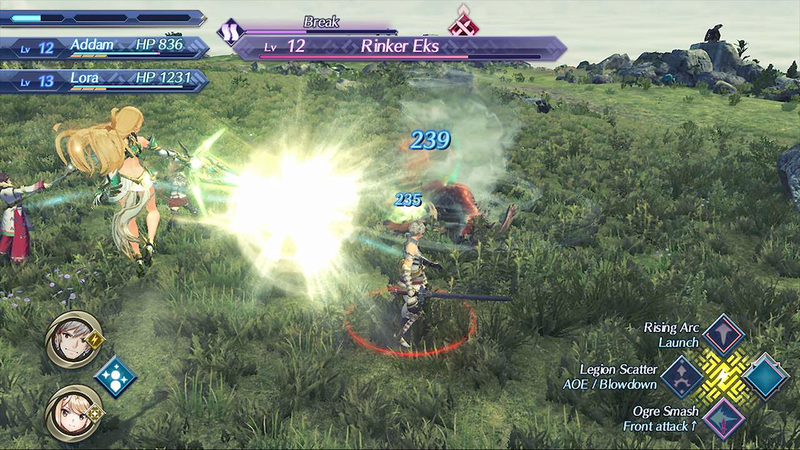 The entire tale in Torna keeps a quick pace, but still manages to get you fully invested. Your journey through Torna will take you to familiar places, like Gormott. It's here that you'll find an earlier version of the landmass, which is separate and and quite verdant compared to what you find in Xenoblade Chronicles 2. 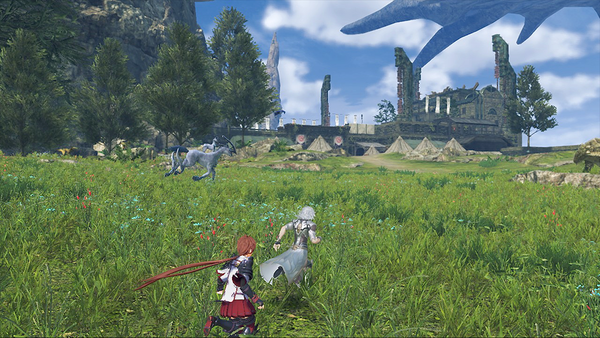 Torna doesn't just take you through rehashed versions of locations from the previous game, though. You'll visit new towns, discover never-before-seen destinations, and meet plenty of new faces along the way. You'll end up swapping quite a bit between the two nations to complete quests, all with the ultimate goal of battling Malos. Of course, there will be plenty of monsters to battle. items to collect, and quests to tackle along the way, and for the most part, you're free to do so at your leisure. Speaking of quests, Torna adds in a new wrinkle to the mechanic which wasn't seen in Xenoblade Chronicles 2. The previous game focused on earning skills by using skill points, and performing specific actions along the way. While this system remains present in Torna, a brand new system has been added called Community. You earn Community levels by completing quests and gaining the trust of citizens over time. It's a great way to keep you hunting down quests, as sub-plots will progress with each challenge you meet. For example, there are two royal guards who happen to be brothers. One is overly protective, while the other wants to strike out on his own. Over the course of a couple missions, the two come to learn each other's viewpoint, and it makes for a rather entertaining side-story. While the Community feature is a great one, it's relied on a bit too heavily towards the end of the game. If you're keeping up with the Community activities along the way, you'll probably hit a level 2 by the time you get around to end-game. Unfortunately, Torna requires you to have a level 4 to really get to the final showdown, which means you'll have to grind out another 20 missions to hit your goal. It feels like a weird hitch to hit towards the end, as everything progresses quite naturally up to that point. The game even makes mention of slowing things down and wrapping up what needs to be done in order to move ahead. This doesn't bother me all too much, as I enjoyed doing the Community actions. That said, it's still a point many are likely to take issue with. Questing isn't the only aspect of Torna to add in some new elements, as the Battle System has gotten some tweaks as well. First off, let's cover what remains the same. You'll move your character around and try to stay out of harm's way while attacking opponents automatically, taking advantage of Arts as they become available. Now here's how things are changed up. You can control Blades directly using Switch Arts, which lets you switch instantly between Driver and Blade. Switching not only allows you to use more elemental attacks, but also drops additional effects like toppling opponents or recovering HP. In addition, you can swap between the various blades you have. This means you can stay in a battle longer without as much trouble. These changes make for a Battle System that's a bit easier to understand from the get-go. Even those who haven't played a Xenoblade game before should be able to grasp what's going on, thanks to some easy-to-understand explanations. The Chain Attack, which you activate by chaining various elemental special attacks, feels quicker to set up within the hectic nature of a battle. It's a great example of the no-nonsense approach to battles this time around, and makes it much easier to build towards your next move. 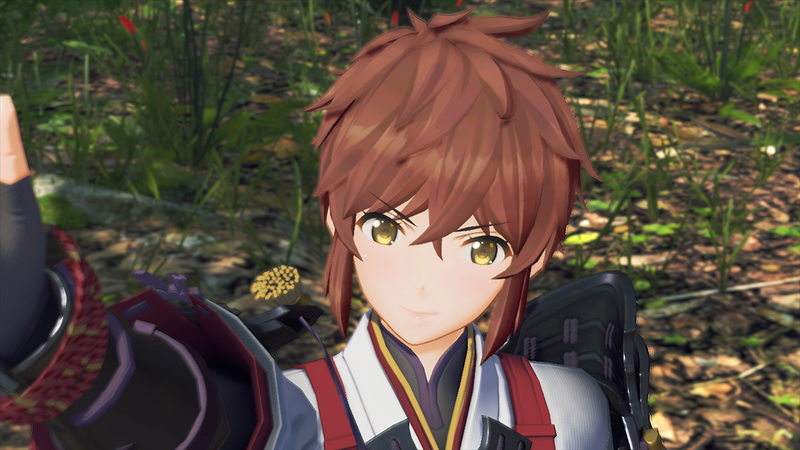 Just like Xenoblade Chronicles 2 before it, Torna's characters are constantly evolving. From enhancing your Arts and Affinity Charts to beefing up weaponry and accessories, growth is on a constant uptick. These elements let you take on bigger and badder monsters, which is important for leveling up and collecting loot. The constant push to grind ahead and raise your skills keeps things entertaining even when you're not moving the main plotline ahead. There truly is an insane amount to do, which means most players will not see completed charts by the time they reach the game's end. You'll most likely have to take on a second play-through to catch a glimpse of every attack at its full potential. With a modest amount of side quests completed, it took me 22 hours to complete Torna. This meant I didn't reach the max on any stats, nor on Community. It makes for a good reason to dive back in and give the game a second run. As you might expect when it comes to presentation, Torna is on-par with what's seen in Xenoblade Chronicles 2. The adventure is quite a colorful one, and can definitely be brilliant from time to time. The soundtrack includes some new songs, as well as a handful of tunes from Xenoblade Chronicles 2. Even with the familiar songs, the soundtrack is still enjoyable, as you usually only happen upon those recycled songs once or twice. The new songs do a great job of blending in with those classic tracks, and The Golden Country's battle theme is outstanding. It might actually be my favorite piece of music in the series' history! 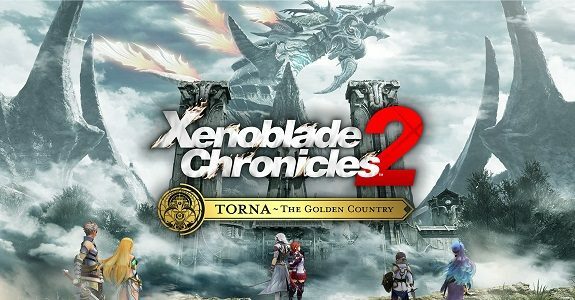 Xenoblade Chronicles 2 Torna - The Golden Country is a brief, yet strong outing in the world of Alrest that wraps things up with Lora, Mythra and others. While I still feel the story could have expanded on a few things, overall the tale is told quite well. Again, it's the cast of Torna who makes a big difference, as I prefer many of them to the characters in the original. More importantly, the new gameplay elements add to the experience while making it feel more focused. The battle system's actions are a lot of fun, and you're in more control than ever before. My biggest gripe comes from the Community feature, which adds a bit of bloat to the game, especially towards the end. You should be free to tackle side-quests as you please, rather than feel forced to complete a certain number. That said, these problems feel very minor when compared to what Monolith Soft accomplished here. This is an adventure well worth taking.